Perspectives - Are gender stereotypes damaging our children? Pink or blue? Barbie or Lego? Nurse or firefighter? Children are bombarded with gender stereotypes on a daily basis. But what impact do these messages have on our thoughts, decisions and behaviours? And how will they shape our futures – from what we choose to study, through to our career choices and salary expectations? In this Perspectives, leading neuroscientist Gina Rippon joins early childhood expert Ruby Oates of the University of Derby to discuss whether gender stereotypes are damaging or if the current push for gender neutral parenting has gone too far. Gina Rippon is an international researcher in the field of cognitive neuroscience based at the Aston Brain Centre at Aston University in Birmingham. She is a regular contributor to events such as the British Science Festival, New Scientist Live and the Sceptics in the Pub series. In 2015 she was made an Honorary Fellow of the British Science Association for her contribution to the public communication of science. 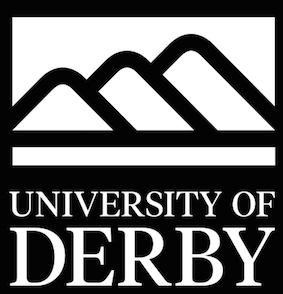 Ruby Oates is Associate Professor of Childhood in the Centre for Educational Research and Innovation in the Institute of Education at the University of Derby. She is a Senior Fellow of the Higher Education Academy. Her current research involves evaluating children and young people’s views on outdoor play spaces. She is a published author with two recent textbook publications on early childhood studies.